I've put a very early draft of a paper up here. The paper looks at how a believer in classical (or intuitionistic etc.) 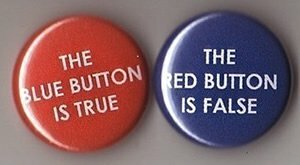 logic might seek to justify the claim that anything follows from a contradiction to a sceptic. I argue that if the sceptic holds that nothing follows from a contradiction the believer's arguments can be resisted. Comments welcome - email me. Last month the first two events organised under the auspices of the project were hosted at the Leeds Humanities Research Institute. At the student workshop, Current Themes in Philosophical Logic, Berta Grimau introduced plural logic, whilst Graham Priest talked about dialetheism. ​The following day, the workshop Approaches to Contradiction : Old and New explored several approaches to contradiction. Alexander Douglas talked about Spinoza and the British Idealists, Catarina Dutilh Novaes about Aristotle, and Graham Priest about Hegel and Marx. I provided an overview of the Ex Falso Nihil project, and briefly motivated this approach to contradiction by appeal to the incompatibility of the speech-acts of assertion and denial and a particular account of the relationship between negation and denial. Attendance was good, discussion engaging, and feedback useful! Registration is free, but required. You can register here. The previous day there will be a student workshop on current themes in philosophical logic.There will be three sessions, run by Graham Priest, Sara Uckelmann, and Berta Grimau. Again, registration is free. It is available here. What follows from a contradiction? Three answers seem to exhaust logical space, regardless of what you take to be the kind of things which follow (propositions, sentences, thoughts...) - everything, something, and nothing. Orthodoxy, enshrined in the misnamed classical logic, has it that anything whatsoever follows from a contradiction. And many non-classical approaches, including intuitionism, agree. Meanwhile authors such as Graham Priest have explored the idea that some propositions, but not every proposition, follow from a contradiction. So, for instance, P follows from (P&~P) but arbitrary Q does not. The suggestion that nothing whatsoever follows from a contradiction is historically important but less explored in contemporary logic. My research aims to put that right, combining philosophical, historical, and formal methods to provide a comprehensive assessment of the position. This blog will track the progress of the research, advertising events and giving details of outputs.